Dr Truswell is a leading authority in the application of palynology to problems in geology, palaeobotany and palaeoclimatology. She is distinguished for her work on the history of climate and vegetation in Australia during the Tertiary and for integrating this work with palynological studies from deep-sea sediments. 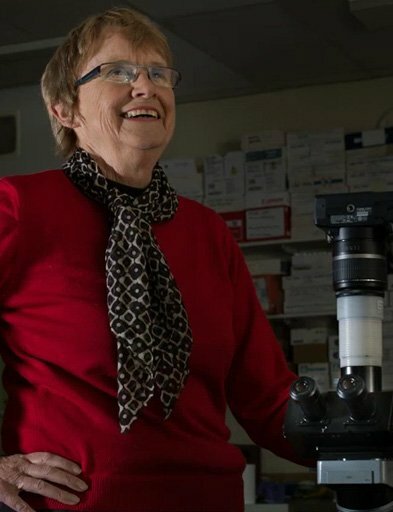 She has also made important contributions to the stratigraphic palynology of the late Carboniferous and Permian Periods synthesising information on the evolution of sedimentary basins both in Australia and Antarctic. She is a recognised authority in the area of Antarctic geology, palynology and vegetation history during the Tertiary, utilising samples and data from her participation in oceanographic cruises to the Wilkes Coast and Ross Sea.